WooCommerce Bookings is a powerful extension that allows you to sell time and date-based bookings. With Price Based on Country Pro you can now sell your bookable products in a different price and currency based on your customers country. 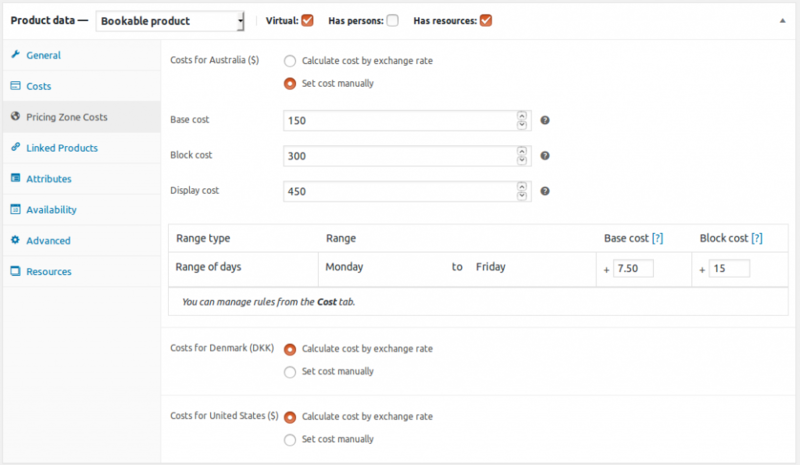 From the Pricing Zone Costs tab you can control the costs of the bookable product by pricing zone. The Set cost manually option allows you to add Base Cost and Block Cost for a specific Pricing Zone. 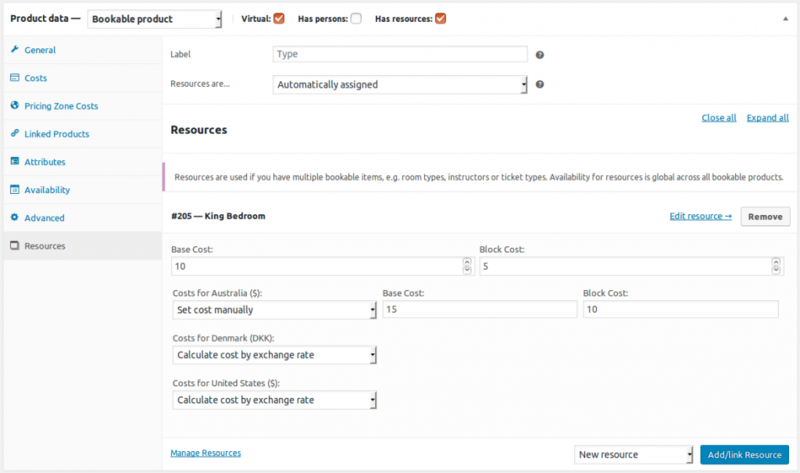 From resources tab you can manage the resources of booking product and, for each resource, set prices manually or auto-calculate by exchange rate. WooCommerce Bookings built-in integration is available now for all Personal and Bussines license holders. If you do not have a license yet, you can buy with just a couple of clicks from pricing page.